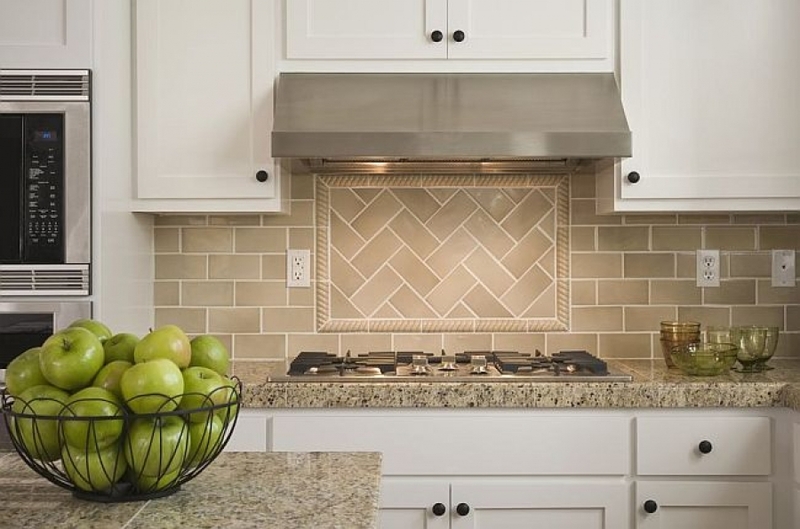 Tired of seeing white subway tile on every kitchen backsplash? You’re not alone. 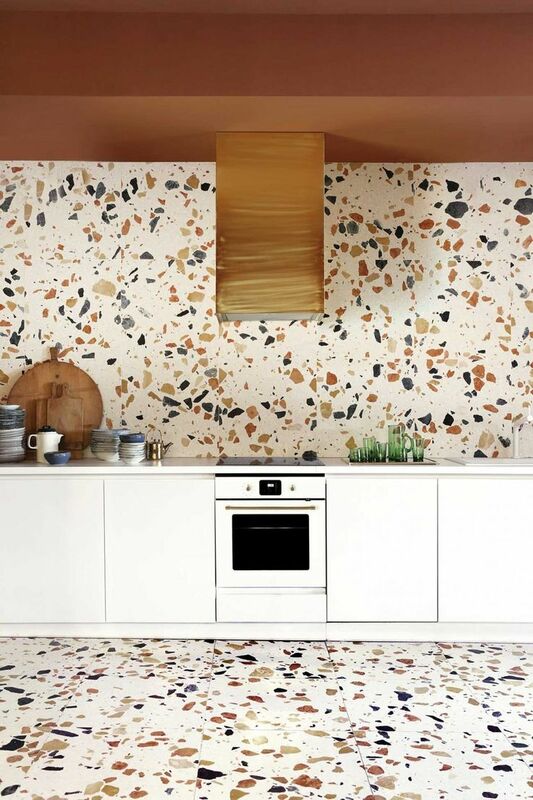 And while the tile will always be a classic (even if it feels overworked right now), there are a number of options that will add a fresh, new look to your kitchen. 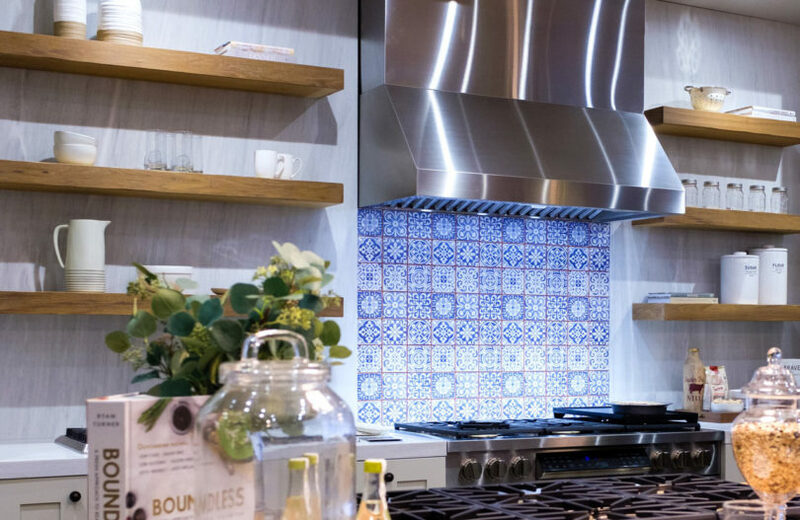 In a kitchen where everything else is neutral, or at least a bit tamer, an eye-popping backsplash can be just what you need to create a killer kitchen. Yes, “The marble mosaic flooring popularized in 1920s Art Deco architecture is back,” said MyDomaine, and it looks better than ever. “Now we’re seeing it spill over into tiles as well, which is an easier to install and cheaper alternative to the real deal. While marble is nothing new, different applications can make it feel fresh. Especially if you’re worried about the maintenance of marble on a countertop, using it on the backsplash is a great alternative. And, the options for complementary materials are endless. A mirrored backsplash can make a small space look infinitely larger by bouncing light around the room. Go metallic to add just the right touch of luxe to your space. If you’re not ready to give up on the idea of subway tiles but want something with a little more flair, go big. Instead of the standard 3×6 look, you can go to a larger format 4×8 version, or even a 4×12. Another way to do something new without veering too far from the familiar is to stick with the subway tile shape but in an unexpected color. 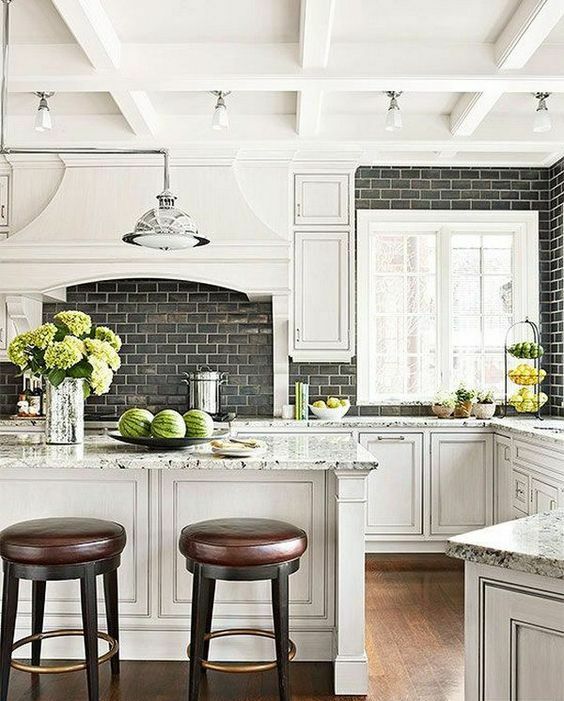 The black backsplash tile brings some great contrast to all that white and “makes the neutral kitchen more interesting,” said DigsDigs.